Can Aliens 65 Million Light Years Away See Dinosaurs? 10 B-Town Celebs and their Fashion Brands! Traditional Wears that Matter! The Ghagra and The Lehenga! What’s worse for you – Sugar v/s fat? Indian Street Food – an everlasting saga of love! Its rainy season and how amazing to see a rainbow. It feels immense pleasure when it drizzles and you get a chance to dive in a river. How about mixing both of them? 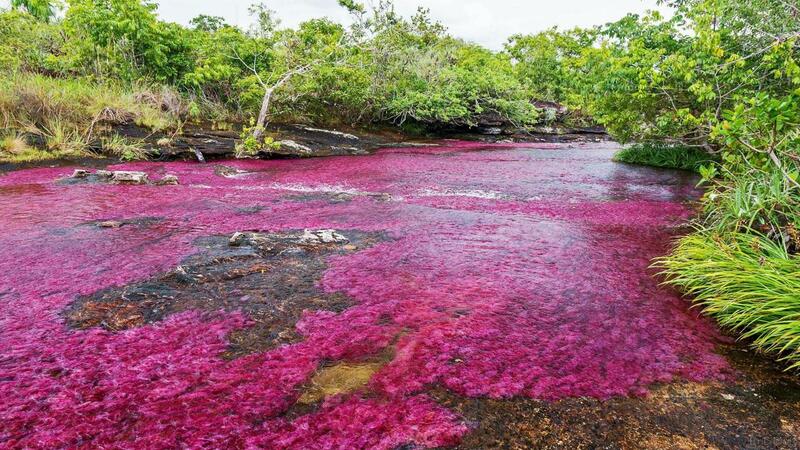 A river with a rainbow, till date we know that river has water which has no color, but actually there is a river in Columbia which turns red, green blue and even yellow. There is a beautiful river in Columbia. 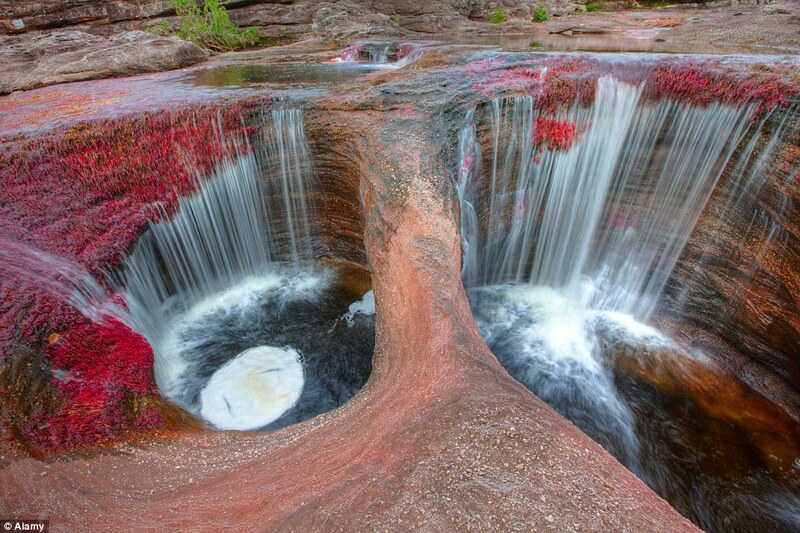 The Cano Cristales River in Colombia is regarded by many as the most beautiful river in the world. 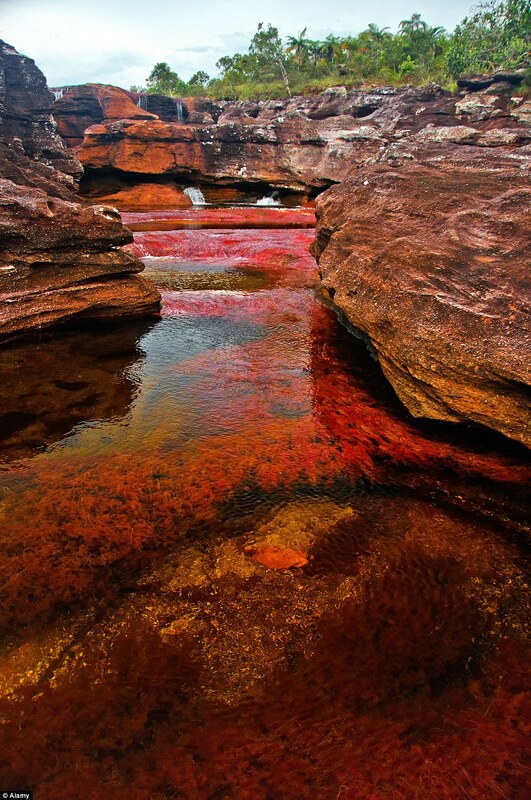 During certain months of the year, July to November, Colombia’s Cano Cristales turns shades of red, blue, yellow, orange and green in a natural display that happens nowhere else on Earth. 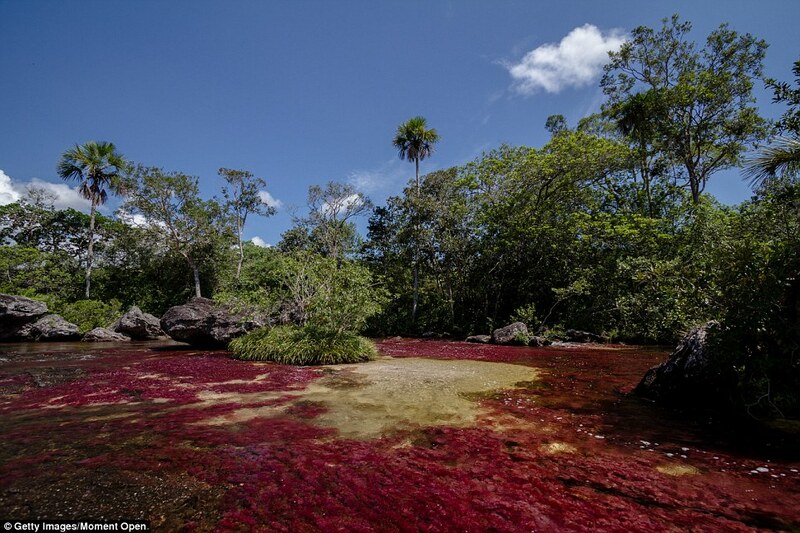 It has moss, corals, aquatic plants and the red plants cling to rocks throughout the 62-mile long river, and help create a fusion of colors just under the surface of the water. As it wide colors under ist surface it’s also called as “Liquid Rainbow”. The secret behind this river is the rich sediment and it has rocks of 1.2 billion years old. Black, Red , Green, Blue are the colors visible during the season and locals say that the best time to see the river is after the storm. 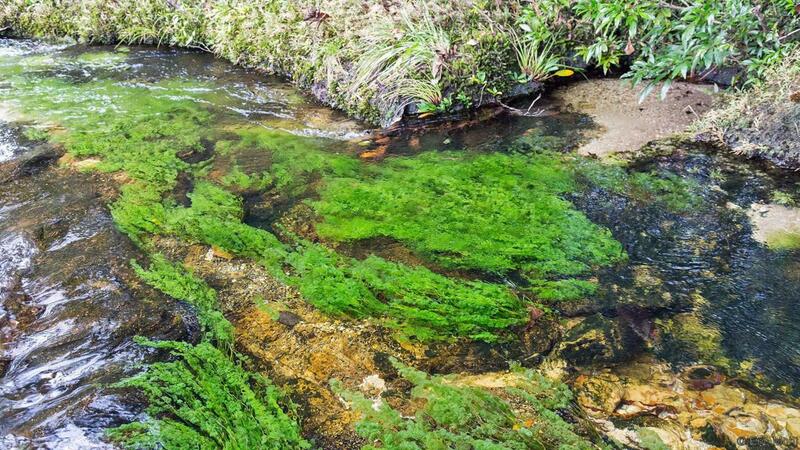 The astonishing color to the river is not due to algae or the moss, it’s due to the picky endemic aquatic plant called Macarenia Clavigera. 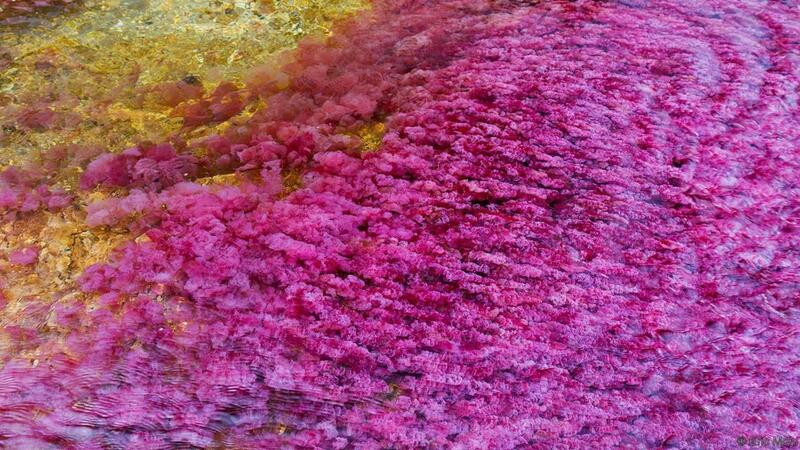 It requires the right amount of sunlight and the precise climatic conditions to take on its bright hues. Colors can be seen only during July to November and Jan to May is dry season. 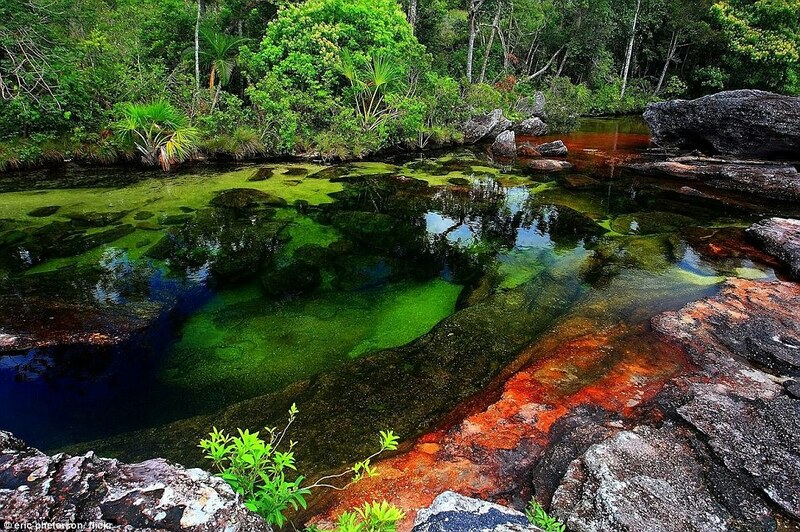 Cano Cristales is closed for travelers to give the area’s ecology a temporary break. The rivers can also stop running altogether, forcing the macarenia clavigera plants into colorless hibernation. This place is not accessible by road, instead tourists have to fly to a place called La Macarena, then a short travel to the Serrania de la Macarena National Park and then journey by foot or on horseback. It is not possible to book tours outside of these dates. Earlier this site was not open to public and re-opened to tourists in 2009 after years of terrorist activity and also threat of human activity damaging the natural environment. There are also other waterfalls such as Angostura in the Guayabero and the Cano Cafre rivers surrounded by rocky edges with a great amount of rock engravings making the national park a sight to behold. Previous articleHow We Design Our Days Shapes Up Our Life ! I am a development professional currently living in India. My interests range from photography to technology. I am also interested in design, entrepreneurship, and food. I am founder Buddymantra. If you’d like to get in touch, feel free to say hello through any of the social links below. Thanks for your appreciation we will bring more articles providing good imformation. Big Dams – What Are The Benefits And Problems? Top five dazzling songs of Urvashi Rautela!